School of Civil Engineering and Architecture, Huanghuai University, Zhumadian, 463000, China. V-grooved steel plate 30mm in thickness has been taken into consideration to research on the distribution of temperature field for the multi-pass welding of steel plate with intermediate thickness in the whole process of welding and cooling. 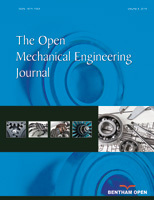 With the establishment of a reasonable three-dimensional solid model, the utility of ANSYS software for finite element analysis, the usage of birth-death elements and the setting of normal Gauss heat source, steps have been undertaken to achieve the goal that the process of multi-pass welding about steel plate in intermediate thickness is simulated and the law of distribution about welding temperature field is obtained. The research results indicate the following: the temperature in every point of base metal changes constantly when the steel plate 30mm in thickness is being welded, the heat input position and position behind heat source are the integral parts which have the highest temperature during the process that welded joints are welded, the temperature gradient in front of welding arc is pretty large as well as that behind welding arc is relatively small. The calculation results are consistent with actual observations providing exactly reliable references for stress field of the welding on steel plates.